Thomas J. Petrelli, Jr. is a Philadelphia based family lawyer who focuses his practice on divorce and family-related matters, including support, custody, adoption, and parental rights. His goal is to help families of all shapes and sizes thrive despite the legal and financial difficulties that arise from divorce, child custody disputes, and domestic violence. Tom prides himself in being adaptable to each individual situation. He works tirelessly to find workable solutions for his clients, regardless of whether he is working on the fair distribution of assets in a divorce or on legal protection for a victim of abuse. 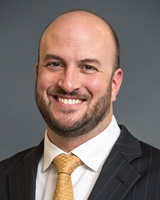 Mr. Petrelli is a trial attorney with a LLM in trial advocacy from Temple University’s James E. Beasley School of Law. This means that he has the experience needed to provide representation for cases which go to trial, including custody cases and complex divorces. However, Tom also has a strong background in mediation. He is the owner of Divorce Done Right, a mediation company that offers solutions for families who want a peaceful resolution to divorce and custody issues. Tom has built his reputation handling high asset divorces. Petrelli Previtera Schimmel offers a premier divorce representation services for clients with contentious divorces. However, not all divorces are contentious. Tom also offers a flat-fee Flash divorce for couples who are on a tight budget with few disputes. He has also worked to increase online access to simple legal procedure through a website that provides access to Pennsylvania divorce forms and tools for those who prefer a do-it-yourself option for no-fault divorce. Tom has received several national and peer-reviewed awards, including being named a Pennsylvania Super Lawyer every year since 2009. Tom has been recognized by his peers for his creative solutions to family law matters and is a recurring guest speaker on divorce and family law at the People’s Law School. At Petrelli Previtera Schimmel, our attorneys help clients end their marriages as efficiently and successfully as possible. Every divorce is different, which is why we take the time to understand each client’s individual needs and goals and explore all options for the best resolution possible. Some couples negotiate a divorce agreement outside of court, while others need to go to trial. No matter your unique situation, our firm can identify the best strategy for a great outcome. We will work with you to solve the complicated issues of child custody, child support, spousal support, and others. Feel free to schedule a meeting through our online system or by calling the firm. Our lawyers are available for same-day consultations. During our first meeting, we will define your goals and consider any potential obstacles in getting exactly what you want in your divorce. We’ll discuss issues such as parental rights, custody, and division of property, and we will give you the best advice on how to protect your assets. If you decide to retain us as your counsel, we can we can begin the process immediately after the first meeting.